Superdry men’s Chinook parka jacket. Wrap up warm this season in the Chinook parka jacket, designed with top modern functionality, this is not one to miss for the new season. 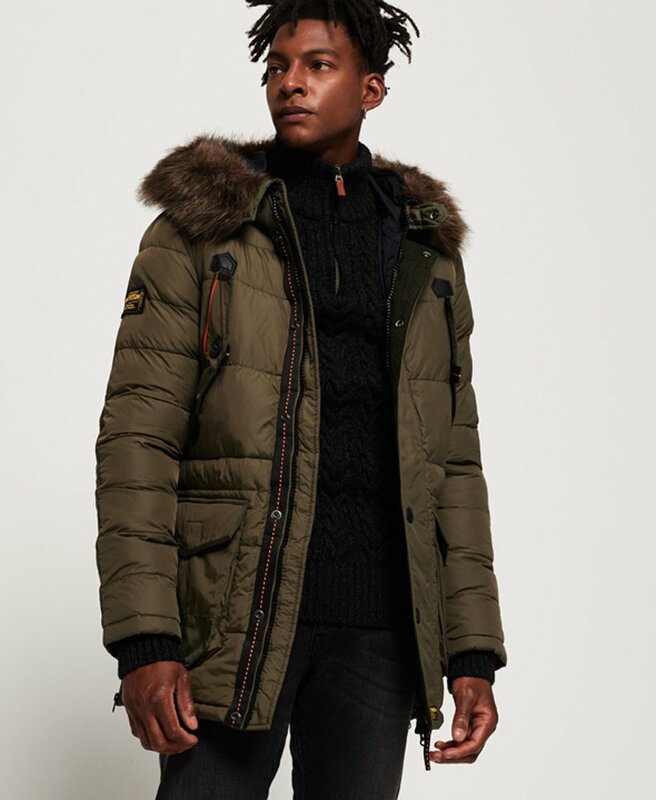 This parka features a single zip fastening with poppers, a hood with a removable faux fur trim, ribbed cuffs and zips in the side seams for comfortability when seated. This must-have parka jacket also has four large pockets and Superdry branding on the poppers, a badge on the sleeve and a Superdry patch on the placket. Never get caught out on a cold, rainy day again.